The question of whether you should book early or wait for a cheap last minute cruise deal is one that comes up time and time again, and it’s a controversial subject. No one likes to think that they have booked early and paid a fair price, only to learn that others have played the waiting game and bagged a bargain. So, should you book as soon as the itineraries are launched to snag the perfect cabin on the perfect ship, often with some extra incentives thrown in? Or do you wait until a couple of months before departure? After all, you might not get the incentives or first-dibs on cabins and dining that you benefit from when you book early, but the chances are that you could save a few hundred pounds on the cost of the cruise. Do you want an outside cabin, or have you got your eye on a certain suite? Perhaps you’re travelling with older kids or in a group, and would prefer adjoining cabins? Or maybe you need a cabin adapted for a disabled guest. These cabin types are limited to just a handful on each ship and for this reason they sell out fast. Similarly, if you’re planning a family cruise and want the whole family to travel together in a 3 or 4-berth cabin, booking early is an absolute must. Large cabins are in short supply on many ships and waiting for a last minute cruise deal when looking for a 3 or 4-berth cabin is likely to leave you disappointed. In short, booking early is the only way to guarantee securing the cabin you need. If you’re booking a family cruise to coincide with the school holidays or are only able to take annual leave during certain times at work, then booking early is a must. Wait for a last minute deal and you risk missing out on your preferred dates and having to make do with an alternative ship or even a different itinerary. Book early, enjoy the added incentives and let the holiday countdown begin. If you have your heart set on joining a brand new ship during its inaugural season, we always advise booking early to guarantee your place on board. 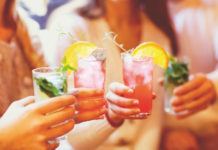 Inaugural season cruises are always very popular and whilst late deals may become available, sometimes with celebratory treats such as champagne thrown in for good measure, there’s always a strong chance that you will miss out on your preferred itinerary or cabin if you hold out until the last minute. Cruising to the likes of Antarctica or the Galápagos Islands is a once-in-a-lifetime experience and the kind of cruise holiday that tends to sell out quickly. Expedition cruise ships are often smaller in size than those sailing Caribbean or Mediterranean itineraries, and more people than ever are looking to venture off the beaten path on more unique exploration holidays. 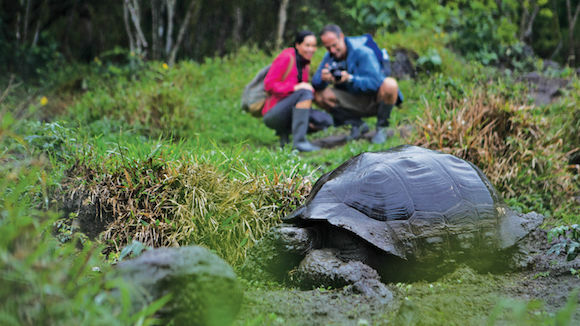 If you’ve decided that a Galapagos adventure is the one for you, book early and spend the extra time with your head in the guide books. If you have cruised before and are returning to a familiar ship, you probably already know which restaurant kept you coming back for more. If you prefer routine on holiday and like to know that you have reservations at a table of your choosing in your favourite dining venue, book early. It’s the only way to guarantee your spot at the table! If you’ve cruised before, the chances are that you already have a preferred cabin location. If you tend to get seasick, cabin location can be particularly important, as it can be if you require easy access to elevators because of mobility issues. 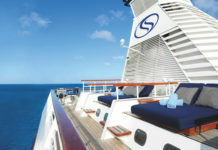 Sun-worshippers often prefer cabins in an upper-deck location, near to pools and sun decks, whilst others like to be within easy access of the entertainment. It’s all down to personal preference but if you’re looking to secure a certain cabin location, booking early is always advisable. P&O Cruises and Cunard are just two of the cruise lines who offer tempting incentives to persuade you to book early. Free parking, shuttle buses to town, free on board spending money; it all adds up and it could save you some serious cash, even when you take into consideration the often higher price of an early saver fare compared to a late deal. You’ll also be first in line for any free upgrades that become available later on. Grabbing a late deal could work out perfectly if you’re enjoying retirement or simply have plenty of annual leave to use and no constraints on when you are able to go away. If you’re free to travel whenever the price is right, holding out for a last minute cruise deal could save you a pretty penny. 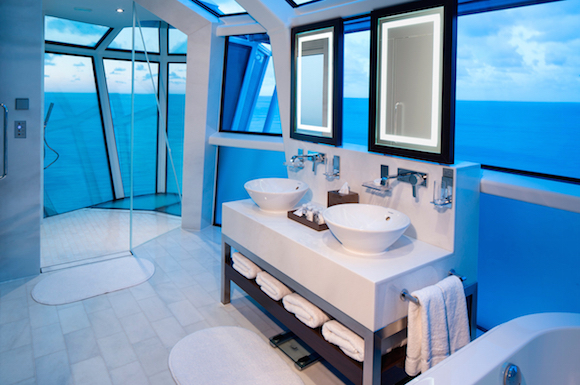 If you spend very little time in your cabin, simply seeing it as a base for sleeping and showering, then a last minute cruise deal could be for you. You’ll have far less choice when it comes to cabin location than those who book early, but you’ll still benefit from the same plush accommodation and all of the ship’s activities and facilities in public areas. 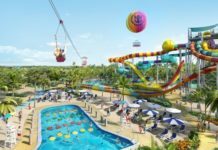 If you love cruising for the food, facilities and destinations, then your cabin type won’t have much impact on your holiday and the pounds saved can be put towards even better excursions. If you’re happy to give any ship (or cruise line) a go, a late cruise deal can be a great option. As ships become bigger and more new vessels are introduced, cruise lines are offering better deals than ever in order to ensure that their cabins are filled. If you’re flexible when it comes to which cruise line or ship, and don’t mind which ports are visited as long as they are in your chosen region, go for a last minute deal and reap the rewards of your flexibility. If your main concern is getting your holiday for the cheapest possible price, then a late cruise deal is a clear winner. You’ll need to be flexible when it comes to cabin type, ship, itineraries and dates, but you’ll benefit from the most competitive fares if places are available at the last minute. One last tip? Once you’ve booked, stop looking. There’s nothing more annoying than buying something full price, only to find out that it has gone into the sale a month after. The same applies to holidays! That being said, when it comes to cruising, it pays to look at the full picture. Yes, last minute deals may come up at considerably less than you paid to book early, but they won’t offer the same incentives and options available to those who got in early. Whether you book a year in advance or just a few weeks before, as long as you are happy with the price you paid that is all that matters. Let the holiday countdown begin – however long or short it may be! Do you book early to guarantee your preferences or do you wait until the last minute, taking your chances and perhaps even scooping a bargain in the process? Head to the Bolsover Cruise Club forum and let us know where you stand on the argument between early bookers vs. late bargain hunters.